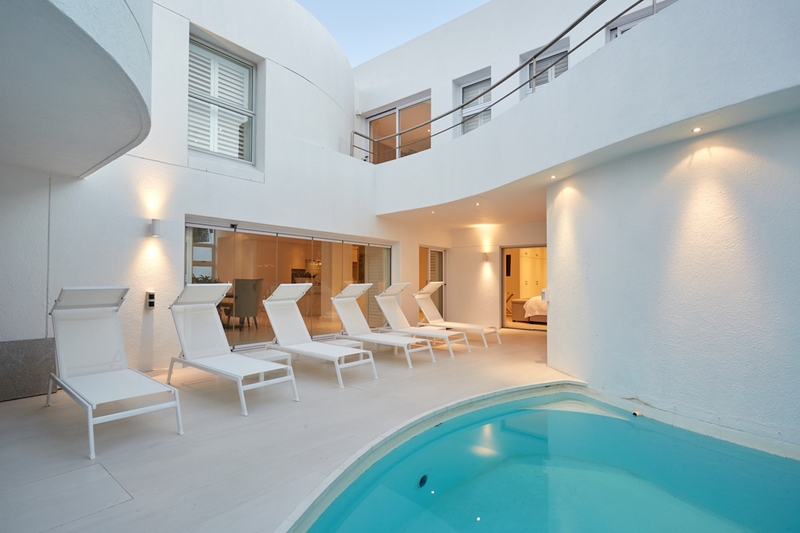 A stunning villa located on the secluded Beta Beach in a quiet cul-de-sac in Bakoven. 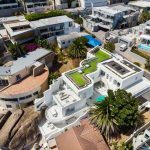 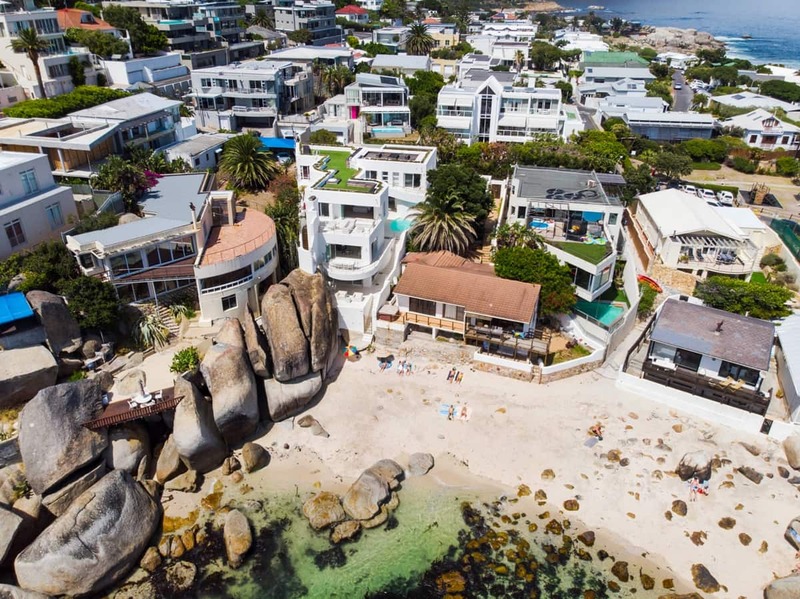 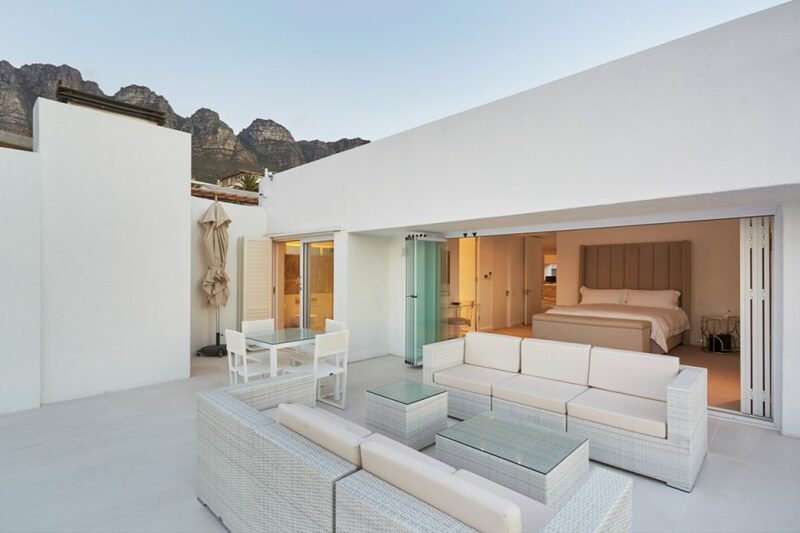 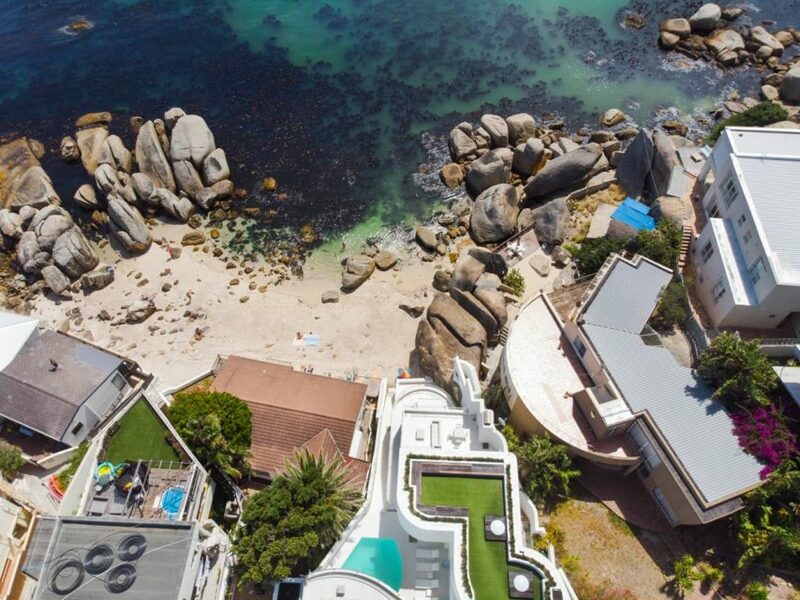 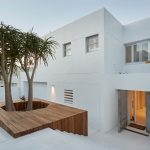 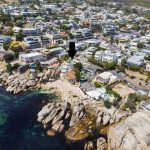 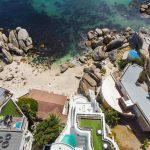 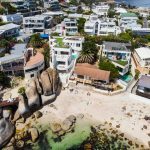 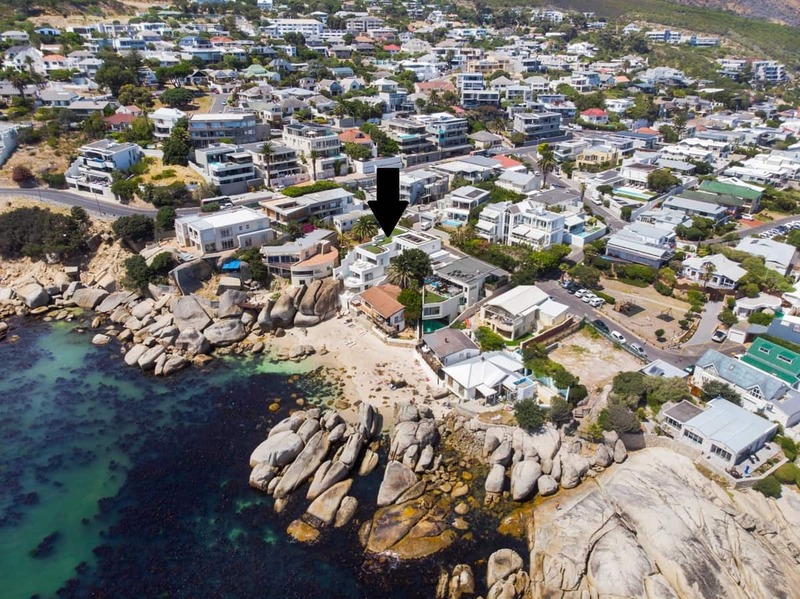 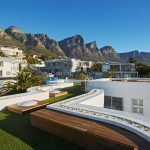 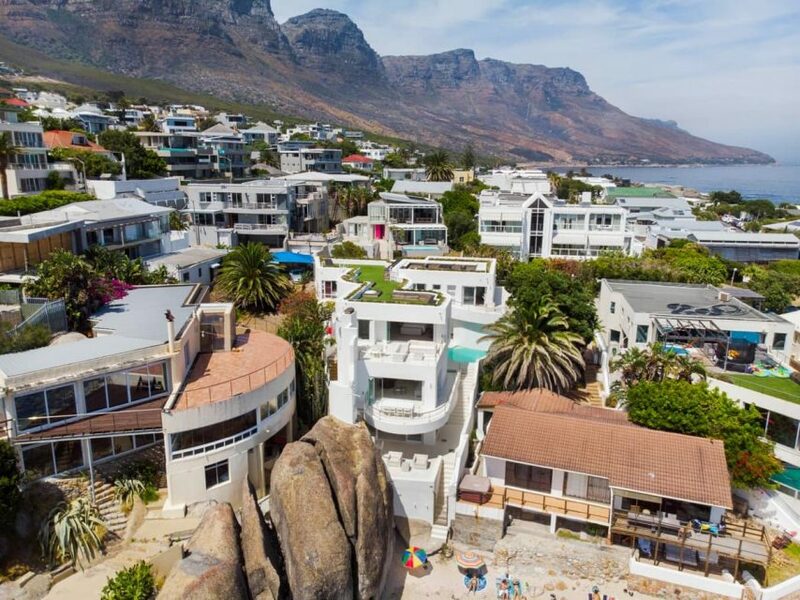 Its unique position offers spectacular views of the ocean, Lions Head and the Twelve Apostles to the sound of the sea, whilst providing private access to this little-known beach. 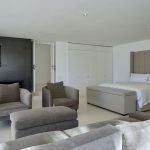 The main house, built over 3 levels, has 5 en-suite bedrooms with a 6th en-suite bedroom and kitchenette which has outside access and is suitable for an au pair. 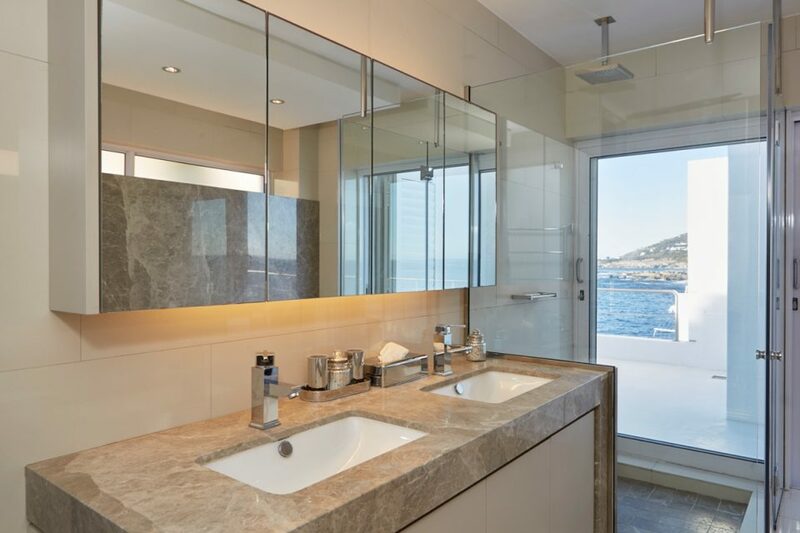 Entry at ground level is into a light and spacious entrance hall – with breath-taking views across the bay. 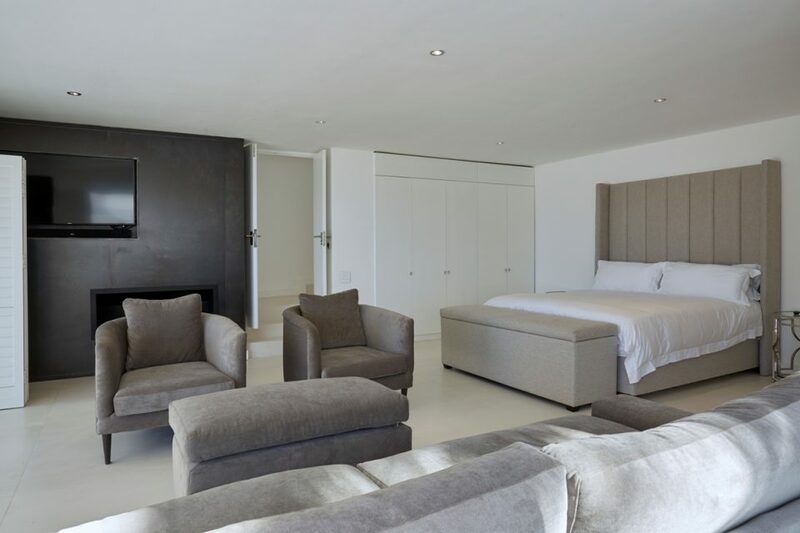 To the left is the 4th en-suite bedroom, which has open onto the outdoor pool area, whilst to the right is the staircase to the upper level. 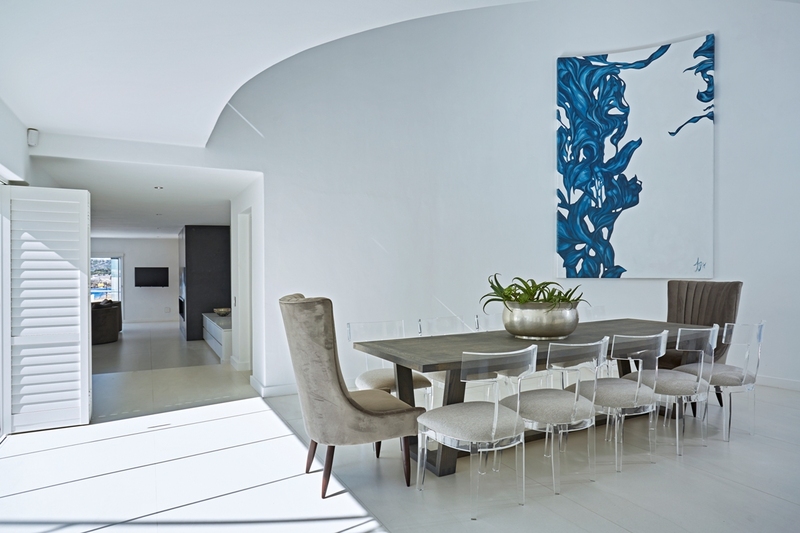 The entrance advances into the double-volume dining area and open-plan kitchen – on the right, with the entire left-hand side opening onto the pool and BBQ area. 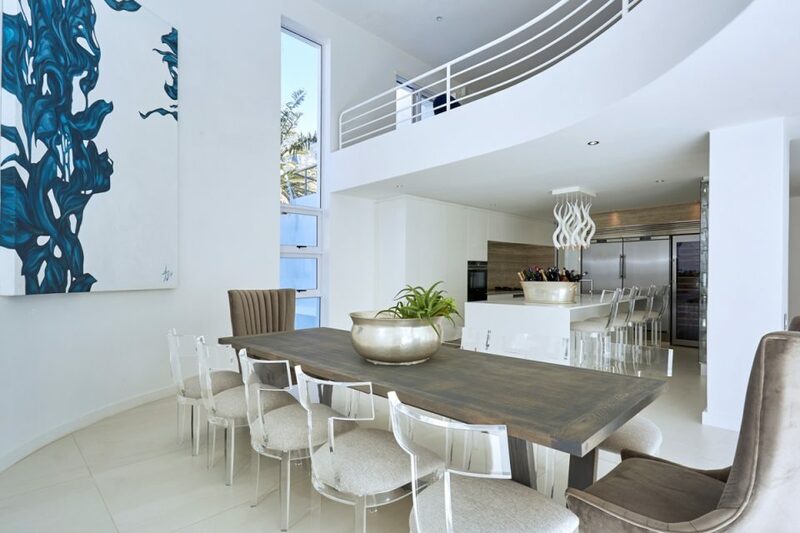 The dining room has seating for 12 people. 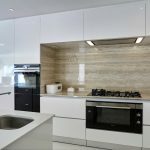 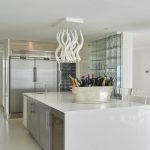 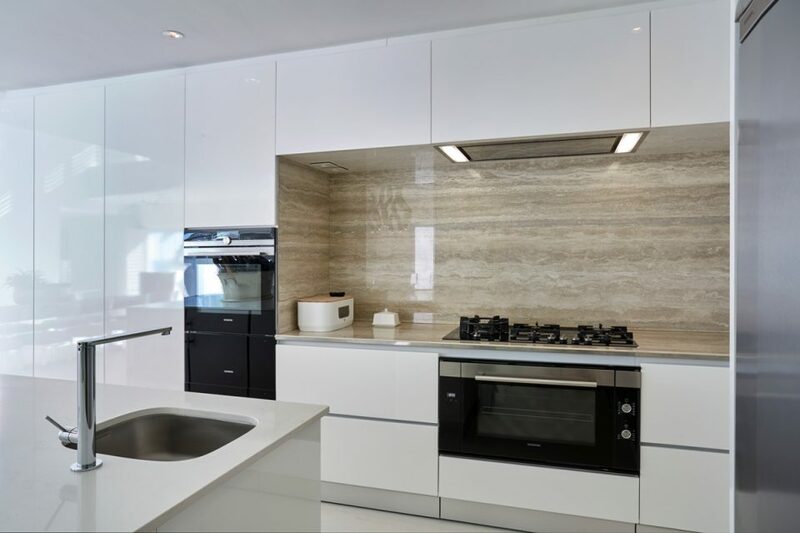 The kitchen is fitted with state-of-the-art appliances and has a breakfast counter seating 4. 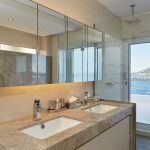 There is a separate scullery behind the kitchen with laundry facilities, dishwasher, glasswasher and freezer. 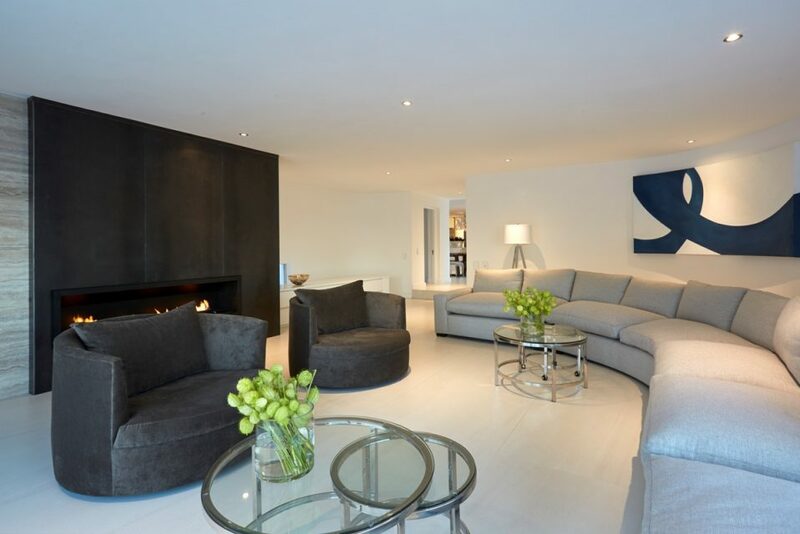 Beyond lies the living room, a generous room with plush seating for 12, a TV and gas fireplace. 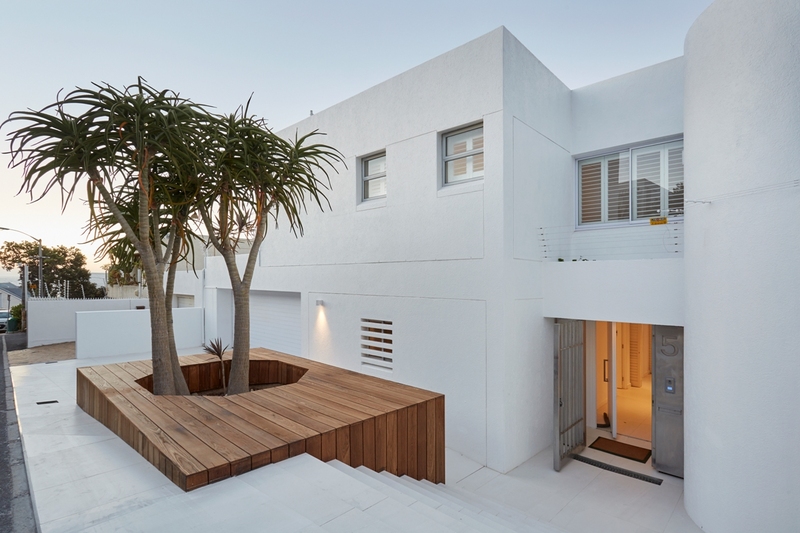 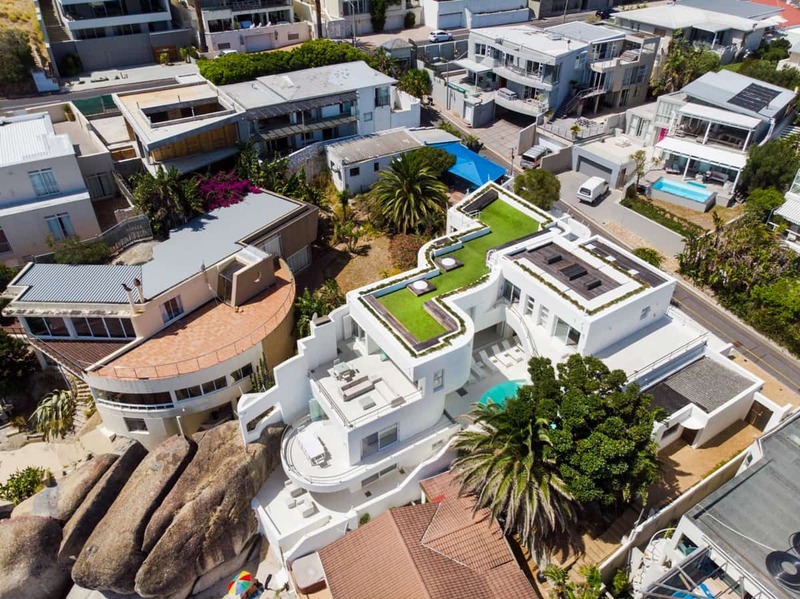 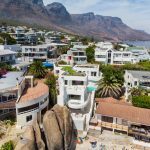 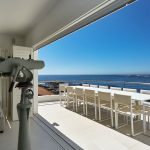 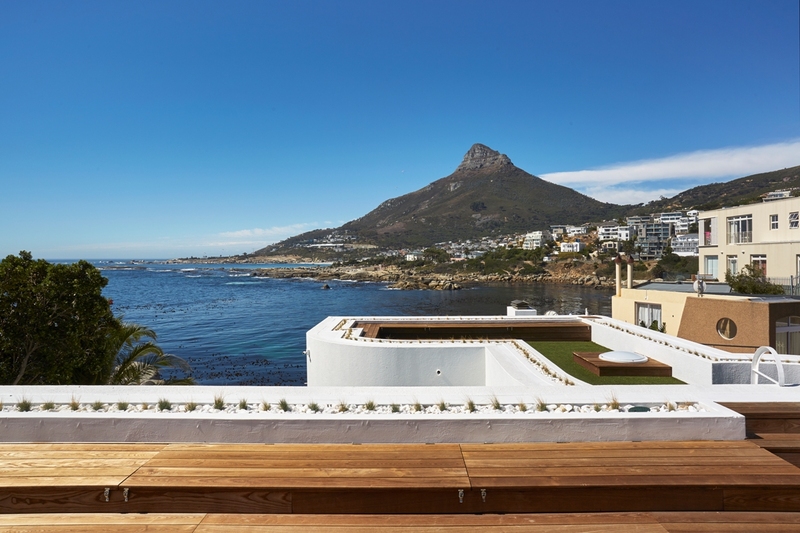 It opens onto a deck overlooking the beach and Lions Head, with stairs leading to the beach. 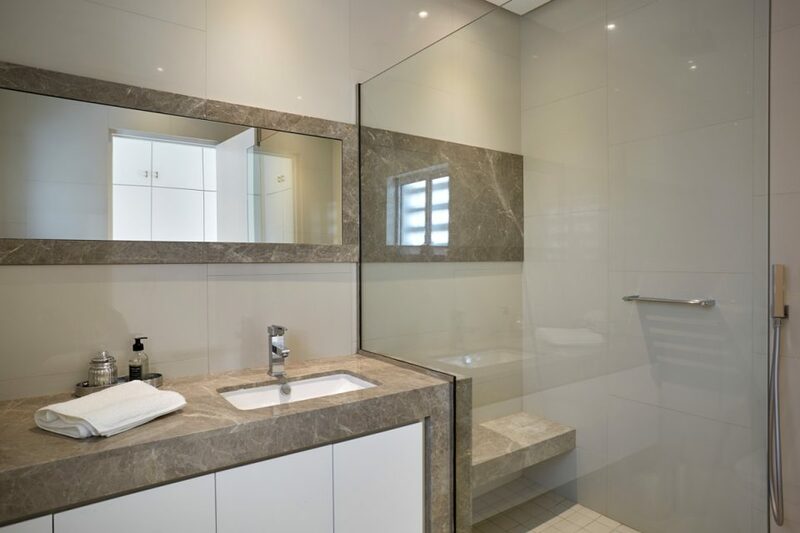 There is also a large guest cloakroom on this level. 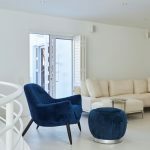 Leading from the end of the entrance hall is the staircase to the lower level of the house which hosts the 5th bedroom with en-suite bathroom. 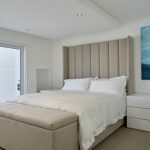 This bedroom has a large private seating area around a gas fireplace and opens onto a private deck situated directly above the beach, with spectacular views across the bay and constant sound of the waves. 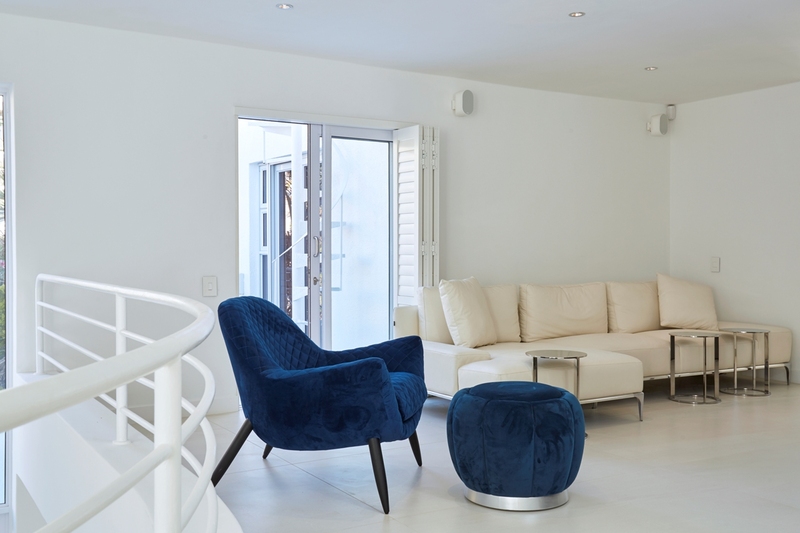 The upper level of the house has a comfortable informal TV area with theatre-quality surround sound and seating for 5, with an adjacent small study. 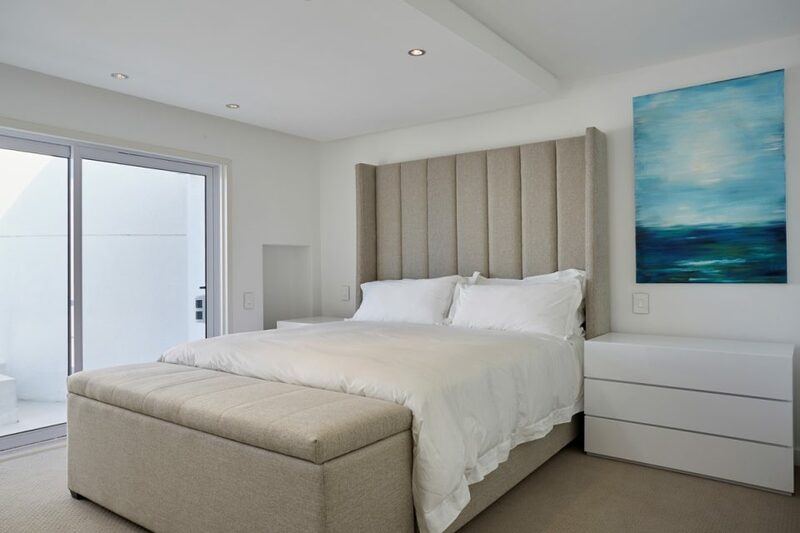 On the left is a passage leading to two bedrooms, a guest loo and a separate bathroom for the dedicated us of the 3rd bedroom. 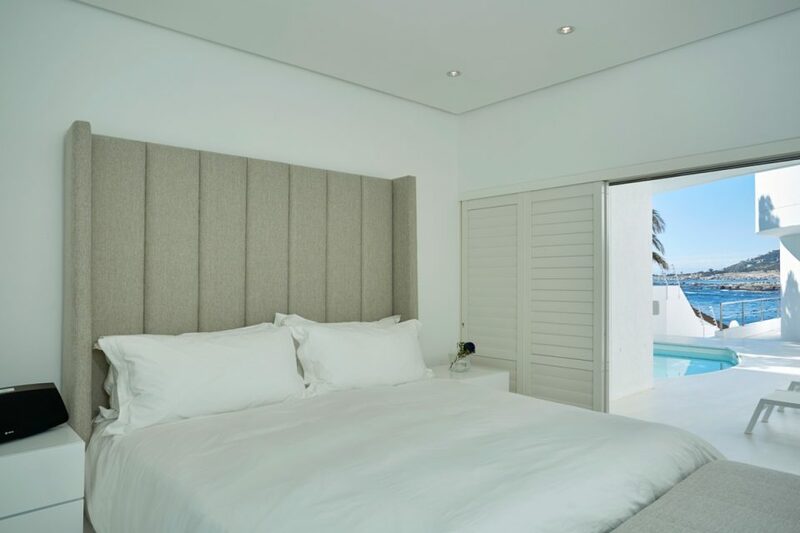 The 4th bedroom is en-suite: both bedrooms open onto a private balcony with lounge chairs and a view over the pool area and the sea beyond. 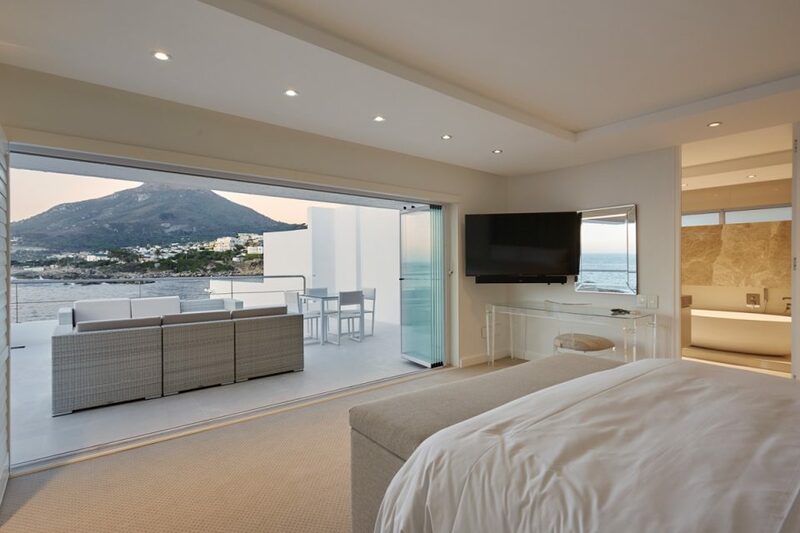 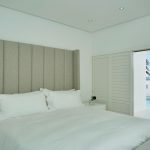 The spacious en-suite Master bedroom with walk-in cupboard boasts uninterrupted views of the beach, the bay and Lions Head through framelss glass sliding doors, which open onto a large private balcony with lounge seating and a dining table. 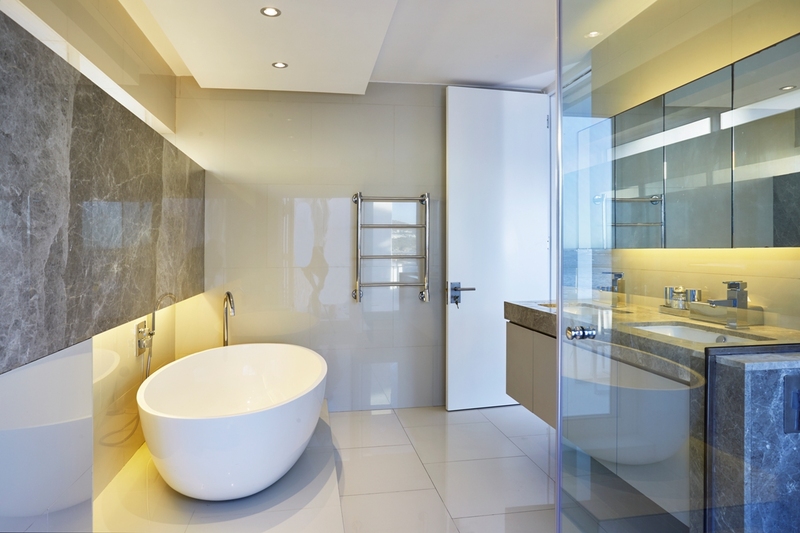 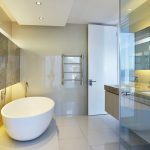 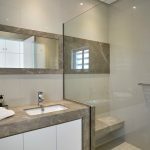 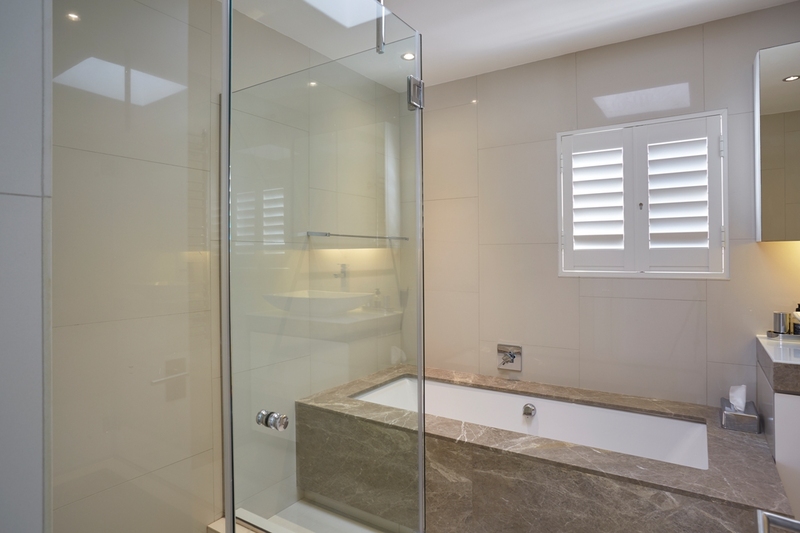 The en-suite bathroom boasts views across the ocean, and the shower opens to become an outdoor shower if desired. 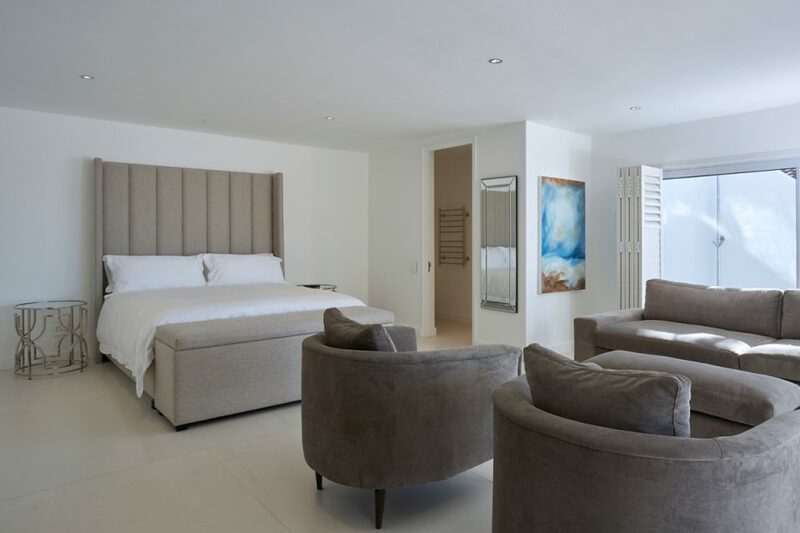 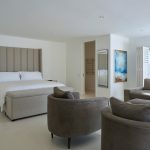 All the bedrooms in this luxurious villa are elegantly furnished and have a king size extra length bed, their own bathroom, TV and dedicated Bluetooth enabled sound system. 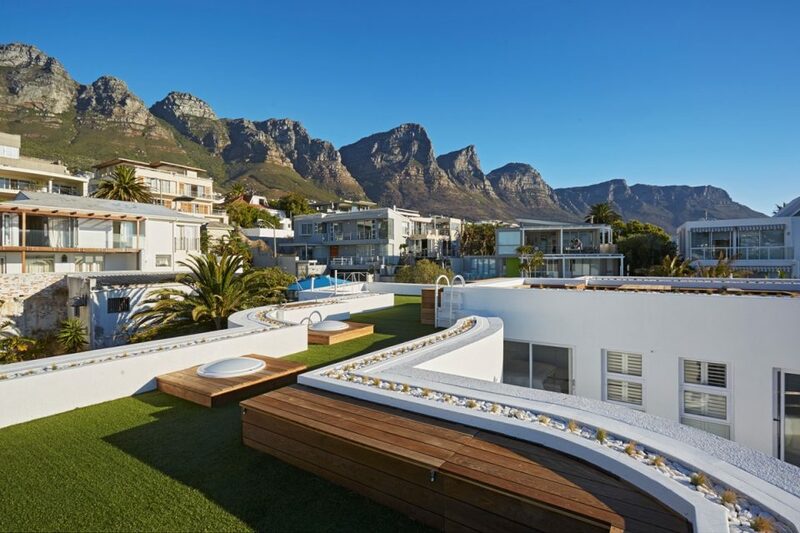 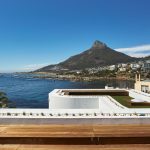 On the roof of the property is large entertainment deck with ample seating and unparalleled views of the Twelve Aposltes, Lion’s Head and the ocean. 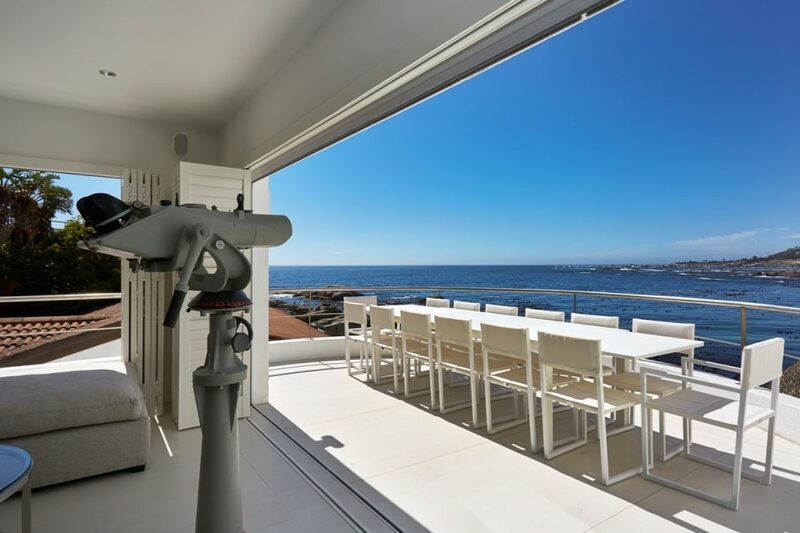 The property is secured by a monitored alarm system, CCTV cameras and electric fencing, whilst the entire house is fitted with American shutters. 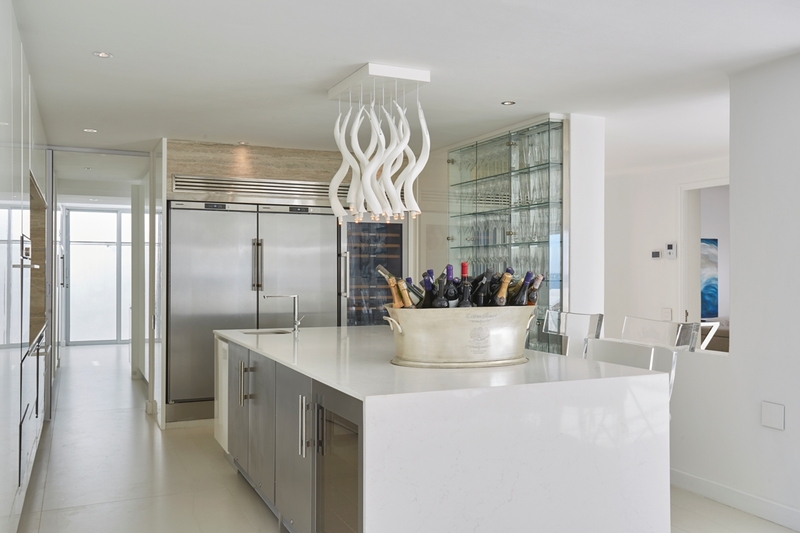 There is an integrated sound system throughout the house which can be controlled from any smartphone.